What Causes Hearing Loss and How is it Diagnoised? Audiologists are professionals in the hearing industry that diagnose, manage and treat a range of ENT conditions. They are responsible for recommending medications, surgeries and applicable hearing aid devices to patients. A short interview before testing is just as important as the case history. Hearing tests range from simple frequency exams with headphones to the more advanced speech assessment tests. Tests evaluate the condition of the outer, middle and inner ear. The severity of a hearing impairment opens up multiple treatment options, but each case is different. There are many signs of hearing loss. When normal speech or environmental sounds seem muffled, then there may be a problem. The most telling sign of hearing loss is trouble distinguishing certain speech patterns. Asking someone to repeat his or her sentence points to a possible hearing problem. Anything that seems out of the ordinary with hearing or speech recognition should be prioritized with a trip to an audiologist. The best way to know about signs of hearing loss is to know what their causes are. What Causes Hearing Loss and how is it diagnosed? For adults, prolonged exposure to loud noise is the top hearing loss result. This can be work or hobby related, and it is usually in a situation where proper protection isn’t worn. For children and adults, genetics are also at fault. A range of diseases and medical issues can worsen over time to deteriorate normal hearing functions. Disorders that affect hearing don’t always begin as a hearing loss problem. Hearing loss tests used during the diagnosis step are chosen based on past medical history and the first interview. Both of these provide the answers that audiologists need to move forward with the correct tests. Hearing loss is different for every individual. 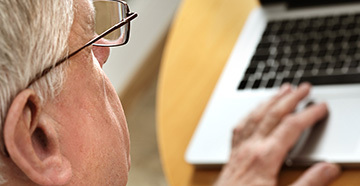 Hearing tests aid audiologists in finding out if the loss is mild, moderate or severe. When going by dB, the normal range is -10-15, while the severe range is 71 and up. There are many degrees between normal, slight, mild, moderate, severe and profound hearing loss. The three basic types of hearing loss are conductive, sensorineural and mixed. Conductive makes it difficult for the inner ear to receive sounds. That means they are also unable to get to the outer and middle ear. Both loud and soft sounds are affected by conductive hearing loss. Sensorineural is similar, but the difference is that it is more related to permanent hearing loss. Inner ear damage is a problem with this condition, and in some cases damage the nerve pathways to the brain. Mixed hearing loss is a combination of conductive and sensorineural. It covers the inner, middle or outer ear. The Early Hearing Detection program is a hearing screening for newborns. It is required before they leave the hospital. For children, school programs are in place to check for hearing. Even so, regular doctors’ appointments are recommended to catch any early signs. Parents that are concerned about hearing loss in their children should check for speech, TV and school habits. Loud music or television can be a sign that a child is having trouble hearing. Speech problems and low grades are also a sign, pointing to the beginning stages of hearing loss. Parents should always be aware of any visual cues that hearing loss is present in their children. 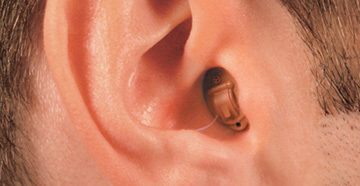 There are many different hearing aid styles with their own pros and cons. In-the-canal models can sometimes be classified as invisible, perfect for users that want to hide their devices. Behind the ear models are more visible, but tend to pack more of a punch in the feature department. In between the smallest and biggest options are many choices that make sense based on personal needs. Sometimes it comes down to which is the most comfortable to wear for the most hours a day. When it comes to hearing aid styles, there is no wrong choice. Assistive Listening Devices are also known as Assistive Listening Systems. ALDs are amplifiers that increase sound volume from 15 – 25Db+ for hearing loss sufferers. 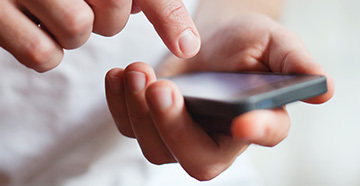 The devices small and powerful, making them useful for consumers with severe and profound hearing loss. The three technologies that utilize ALDs the best are infrared, inductive loop and FM. Tinnitus is a ringing, buzzing, whistling or other random sounds in the ears. Subjective tinnitus is the most common, meaning that the sound can only be heard by the person experiencing the condition. Objective tinnitus can be heard by others, but is considered the rare form of the condition. In both cases the random sounds disrupt concentration. Just like hearing loss, the cause of Tinnitus depends on several factors. Sometimes it is natural and age-related, other times it is caused by injury. In other situations, a loud work environment with no protection degrades normal hearing. That makes tinnitus one of the side effects of noise-induced hearing loss. The cause of Tinnitus determines how it is treated. Temporary tinnitus is sometimes caused by earwax buildup. In this situation, ear irrigation clears up all tinnitus symptoms. For more serious cases of tinnitus, sound therapy with the use of masking devices is the best route. There are even high-end hearing aids that mute tinnitus symptoms. Surgery and medical options are available, but not necessary to get relief from the worst effects of tinnitus. An audiologist is a professional with a degree, trained to diagnose and treat hearing conditions. A hearing aid dispenser is a licensed professional that prioritizes the sale of hearing aids and hearing aid accessories. Audiologists will always be the full package, but it still comes down to what office the patient finds the most comfortable.